My old Marine has been spending a small fortune on Biotene products to deal with dry mouth, a condition that probably began during HCV treatment (PDF download –12 page report) and worsened due to two medications he takes and needs. He’s been complaining about the condition (via VA Secure Messaging) but offered no relief. The Biotene oral spray (1.5 oz) has been sold out at local stores for a few weeks so I decided to search the VA Formulary tool (LINK) for something. The VA does not issue Biotene. But a glimmer of hope: artificial saliva. Boy, that sounds disgusting. They only carry a liquid. Is it a rinse? We’ll find out soon enough. Again, using Secure Messaging, a request to his PC doc for “artificial saliva” resulted in a positive response. In the meantime, we’ve ordered some products from Amazon Prime including a new spray called Spry Rain Oral Spray (bigger bottle) and contains Xylitol–which is supposed to be good. Dry mouth creates all sorts of oral/dental problems. A few weeks ago, my husband asked his VA PC doc for a referral to be classified by the dental service. His doc called him up and told him that be couldn’t because his dental problems weren’t service connected. However, the Dental Care Fact Sheet (IB 10-442) lists over six classifications and we are pretty darn sure that all veterans in VA care have the right to have the dental service review a veterans medical records and be issued a classification. We are going to let this slide for now and will deal with it after our big move next week. I am surprised at the dearth of dry mouth relief products that the VA provides considering veterans need them after radiation and other treatments and over 400 meds (NIH fact sheet) can cause it. It looks like some folks are mixing up their own solutions to avoid the rip-off pricing of products that mainly expensive water with a few additives. Anyone currently getting dental services from the VA? Do they provide dry mouth products that are not on the VA formulary? 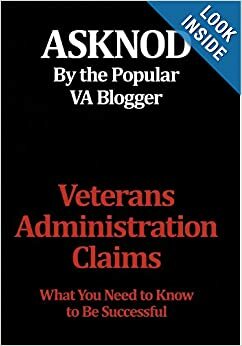 Thanks for any dry mouth tips for ASKNOD readers you can share because I guess the VA didn’t get this message : FDA: Dry Mouth? Don’t Delay Treatment. 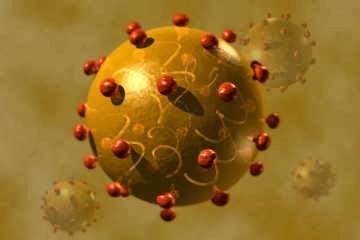 This entry was posted in All about Veterans, General Messages, Guest authors, HCV Health, Uncategorized, vA news and tagged asknod.org, Gulf War Vets Help, HCV, VA Medical Care. Bookmark the permalink. For some reason I get Biotene through the VA thanks to my VA sleep doctor. THAT is very interesting too. Either you are getting special white glove treatment or there is a secret VA formulary that can’t be searched by the public or else the VA database is in drastic need of an update. Next time you see him/her, perhaps you can find out what else they prescribe for dry mouth. My guy says the VA issue “Mouth Kote” helps and it’s a spray. Get a lot more with Mouth Kote and it contains Xylitol. Great option to request from the VA since it’s $13-16 dollars online.